Since the launch of DCI in 1997, the entire team has always focused on doing what is right for our customer and vendor partners. We have earned the respect from our partners and have grown to become one of the top SPG Master Agents nationwide. We offer an entire line of Boost Mobile devices and services along side a line of original and aftermarket accessories to support each device. 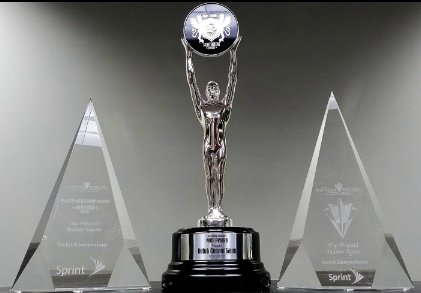 DCI was awarded the highest honor of "Top Prepaid Master Agent" by Sprint for the past 2 years in a row! Give us a chance and we will earn your business. We will go above and beyond each day to help maintain and grow your business. Boost Mobile is one of Sprint’s award-winning prepaid brands, and we’re looking for energetic retailers to join our team. We listen to what customers want in a prepaid wireless carrier, and we offer premium products and services a cut above the others. The nationwide Sprint® 4G LTE network, no annual contracts and unlimited plans starting at just $35 a month are among the values that make Boost stand out. Our brand is growing – we now offer phones from flip to 4G LTE, including iPhone. We want you to grow with us. Check out our Select Retailer Program and contact us for more information. We utilize the best distribution partners called "Master Agents." They have the responsibility to ensure all parties involved in the distribution of and sale of Sprint Prepaid Group's (SPG's) products and services use their best efforts to promote and maximize sales of product while upholding the integrity of all Sprint Prepaid brands. Master Agents provide local market representation, help facilitate inventory management, provide operational training and support, verification systems and reporting, advertising/marketing solutions, and owner planning meetings to give you options to decide what is best for your business. Why join the Select Retailer Program? No franchise agreement and no fees. Being a select retailer gives a multi-store owner the opportunity to make a six-figure income. Receive a fast return on investment with your low-cost initial investment. Earn competitive compensation through activating new customers, in-store and credit/debit card customer payment, accessory sales and residual income from new customers you sign up. Sell select newly released devices weeks before other dealers. You can also be the first in line to have inventory set aside for your store location. Have access to high-quality fixtures and signage, demo devices and brand-approved promotional materials to give your store a best-in-class experience.